You have tried calling, texting and emailing a million times yet you are being avoided, or worse given lame excuses.. Now it is time for desperate measures. Well, stop calling first. Do NOT TRY TO CONTACT THEM. It is not working. This will only make you look needy and you will be avoided more and for a longer time. The way to get back into a lovers heart is through their emotions.. That is right by putting a thought into their head reminding them of the good things you two had between you two. How do you do that when you cannot contact them?? ?By using the psychic connection you developed with them through your time together…YEP, I am talking about the old fashioned love spell. 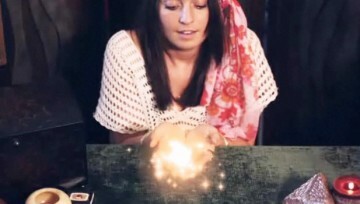 However, this is not the kind of love spell where you pay a psychic exorbitant amounts of money to do it for you.. This is often a scam. The “psychic” tells you that for a price they will do a spell for with “guaranteed results” only to have no results. Then they tell you there is some “bad energy” or an energy block or “someone else is putting a spell on you to block you from him” and you must then pay more money to remove these things. Also an old scam. They will often tell you that they need more money for “supplies” and if you do not pay them you “;will never see your ex again”;.OK, do not fall for this.. It is all a scam. Here is what I do. I give you the spell free of charge to try on your own.If you would like, I charge $100. to do it with you over the phone. I teach you how to do it. However, I spend no more that 45 minutes for this price and that does NOT give you the right to call me to chat about it at any time. I charge for my phone time. If you have questions and do not want to be charged. Then you may email me.. I do answer emails when I have time. This is what the spell does. It puts a thought of you into their mind. It reminds them of the good times you had together. It gives them sexual thoughts of you and often they have dreams of you . We are aiming for dreams as that puts thoughts of you into their subconscious so you are on their mind a lot. Often after doing this, many people ( most) have reported their ex showing up at their front door in the middle of the night. They have had emails and phone calls from their ex out of the blue. They have met their ex again for the first time since the worst part of the breakup. This is what it won’t do. Fix whatever the problem was that caused you two to break up over in the first place. If you have not done some work to understand what went wrong and taken measures to at least change things on your end. Then the problems will still be there. It will not change the chemistry of their brains. You cannot control another person through a spell, you can only put a thought in their head. When they see you again, you must have changed something , whatever was the cause of your breakup, to make things different. If they left you for another person, I cannot guarantee that they will breakup with that person for you. I cannot change the brain chemicals associated with lust towards another person. All I can do, working with you on this spell over the phone, is put you in their head in a positive way. If they are having trouble with whoever they are with at the time, they will think of you and the possibility is that they will miss you and want to see you.. That is what we are aiming for. Place any personal items you may have from the individual we will be focusing on in front of you. We begin by drawing up the white light from your feet and feeling it flow through your body. use it to protect yourself and the area you are working in. Put the knife in the bowl of salt and say, “Blessings be upon this creature of salt. Let all malignity and hindrance be cast forth hence from, and let all good enter herein. Wherefore do I bless thee, that thou mayest aid me in the names of the guardian angles who have chosen to protect me, Raphael,Michael,Gabriel,Ariel. Pour the water into the salt and lay both bowls aside. Now visualize the white light being projected from your hand and use it to form a protective circle around your area. Say ” I conjure up the circle of power, that this be only a place of love, joy and truth. A shield against all wickedness and evil. A boundary between the worlds of men and the realms of the mighty ones “(Meaning angels or whatever you may call them, we are about to invite them into the circle)”A rampart of protection, that shall preserve and contain the power that we shall raise within thee. Now as you visualize the white light coming from the ground, through your feet, up through your head, over your body, and extending out through your hands. use your hands to direct the energy to protect your area in white light. OK you have now called upon the angles of protection if you have visualized them strongly they will be there. We now go into the Quabilistic cross. Now we go into the chant from the lost language. As you do this, visualize the energy swirling around you. As it does catch it in your hands and let it flow back and forth between your hands like a cyclone. Light the candle for what you are seeking. Read out loud the things on your list that you wish for. Now we do the Pendulum meditation. You will need a shiny object such as a pendant on a necklace and dangle it between your thumb and forefinger. We will watch it as it swings back and forth or round in circles (wherever it chooses to go) to put ourselves in a trance. We will say a chant repeating and affirming what we have asked for. Now chant the list of things that you have asked for as you release the tornado energy into the cosmos, giggling as you do. It is important you have humor at this point and a made up poem, the sillier, the better will help immensely. Now you may close the circle. it is important that you release all the angels Raphael, Michael, Gabriel, and Auriel, and thank them for joining you or their energy will stick around and be a bit grumpy for keeping them there. Weird things happen if you forget to release the guardians of the watchtowers. Good luck this is an ancient ritual, It works, be careful what you ask for.